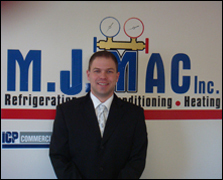 About Us | M. J. Mac Inc.
M.J. Mac Inc. was established in 2007 by Jay McIntyre. After working for other companies a total of 15 years, Jay wanted to start his own company. He believes in building strong business relationships with customers, having some as long as 8 years or more. Jay’s dedication to his customers is apparent through his 24 hour Emergency number. Jay does not charge any Over-Time or Service Fees. Jay has built his company from the bottom up. Building his crew of employees, as well as personally over-seeing, and involving himself with all aspects of the business. M.J. Mac was founded on good old hard work and dedication. All M.J. Mac Technicians are as hard-working and dedicated as Jay himself. In his free time, Jay enjoys spending time with his wife of 8 years, Kristina, as well as his 4 boys. 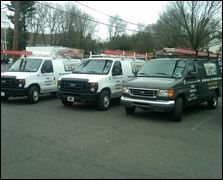 M.J. Mac is a proud provider of service and installation to any and all of the tri-state area’s residential and commercial HVAC and refrigeration needs. We are an RSES Member, EPA Certified, and in compliance with the Clean Air Act of 1990. M.J. Mac’s main priority is customer service. We believe in doing the job right the first time and on time. Our customers are always happy with our work. We offer only quality manufactured walk-in refrigeration, air conditioning, and heating units. Our 24 hour Emergency service is available to better serve you, the customer. There is no reason why you should be left out in the cold or heat. 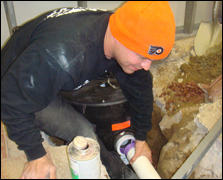 We have a rapid response time and our Technicians are highly knowledgeable in their fields.